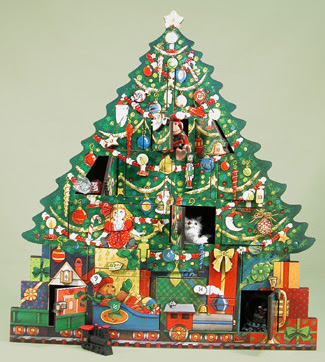 This Heirloom Wooden Advent Calendar from Yonder Star Christmas Shop is a cute one. To this unusual Irish Nativity Scene. They really do have quite a selection! My sister in law collects nativities. I'll have to tell her about the Irish version! She could keep it out til St. Paddy's Day, huh?